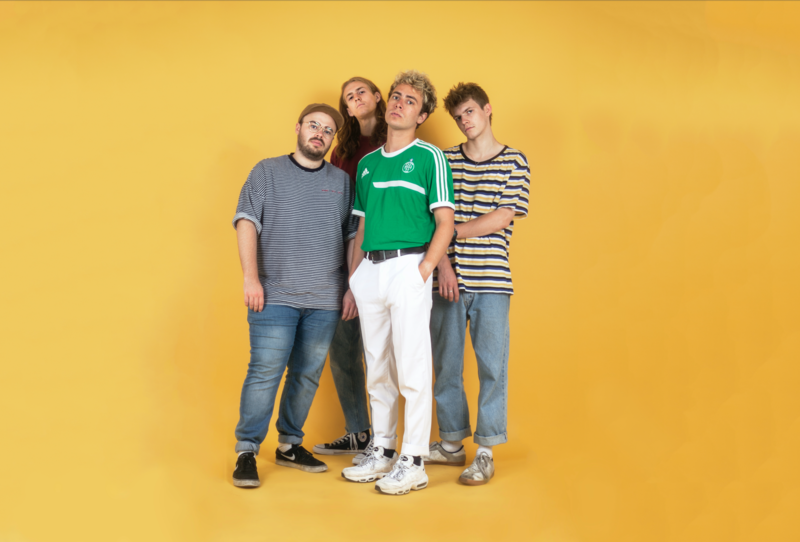 Slacker pop quartet RALPH TV have been turning heads this year, playing a series of packed out shows and receiving worldwide airplay and critical praise. The band are gearing up to release new single Making Movements, the highly anticipated follow up to their hugely successful self-titled debut EP, released in January via Nice Guys. RALPH TV, formerly RALPHSWRLD, exhibit a delicate blend of dreamy soundscapes, tight melodic grooves and interchanging vocal lines; resulting in a concise collection of off-kilter yet soothing pop songs. The band's influence derives from a range of music, from classic artists such as D’Angelo, Shuggie Otis and My Bloody Valentine to more contemporary acts like Homeshake and Conan Mockasin. The group was formed in late 2016 by childhood friends Ben Brown (Guitar/Synth, Vocals) and Will Osborne (Bass, Vocals) in Colchester, Essex, and was named after a fictional character in a friend’s comic strip. Having performed in bands together throughout school and college, Will and Ben decided to spend time honing their song writing chemistry as a pair. The result was a demo called Homebody which caught the attention of French independent label Nice Guys. By February last year they were signed, and the project was relocated from Essex to Brighton. It was here they were introduced to brothers Luke (Lead Guitar, Vocals) and Isaac Vosper (Drums, Percussion, Vocals) who complete the live line up. The RALPH TV EP, released on the 12th of January 2018, was undoubtedly a big success racking up over half a million streams on Spotify in its first 6 months. As a result, RALPH TV have found themselves with an unusually dedicated international following for such a young band. So far they have gained airplay in the USA, Japan, France, Italy and Brazil as well as BBC Introducing in the UK. Lead single Taxi Boy, was particularly well received with Clash Magazine calling it a “Slacker Pop gem”. The single was also paired with a music video that was shot and directed by the band itself, further demonstrating their creativity and homespun charm. This can be found on the RALPH TV Youtube channel.